As a Louisville wedding photographer I am currently in the midst of one of the busiest and most exciting times of the year. I love it! As the weather cools off and the leaves begin to change my schedule is filled with weddings and engagements. Last Saturday on a gorgeous Fall day Adam and Kim tied the knot at St. Francis of Assisi Church. 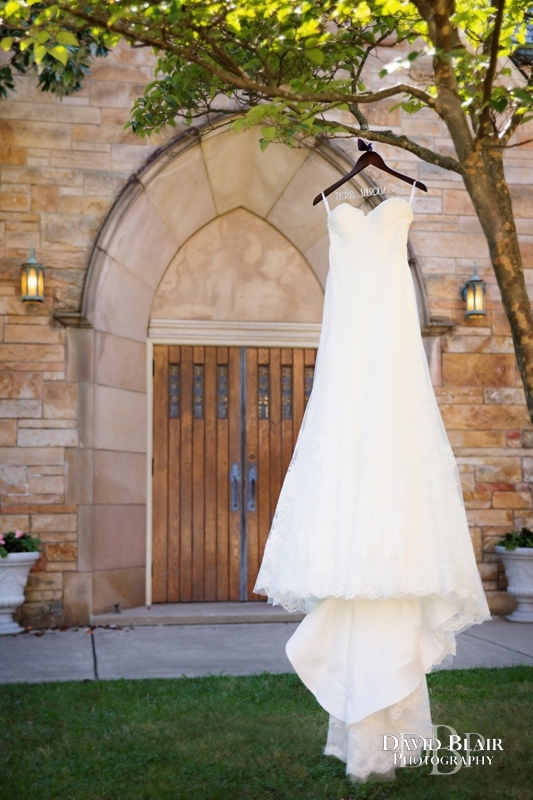 It is a beautiful large church building, perfect for a wedding. When I arrived I was talking with Adam about whether or not he was nervous to which he responded “No, I’m not nervous. I’m pretty sure I chose the right one!” His groomsmen as well as the bride’s father gave him a hard time about being only “pretty sure.” After a good amount of laughter he revised his statement to, “She’s definitely the one!” All joking aside, everyone who sees these two together knows that they are meant to be. In the image above you can see his tender affection towards his sweet bride and how much she enjoys it. As the whole congregation stood to watch Kim walked down the aisle her beauty as well as her good taste were evident to all. Her dress was covered with subtle texture and beading that matched her pearls quite well. Her elegant bouquet of green and white added to her almost whimsical look. After the ceremony the whole bridal party loaded up into a trolley for a ride through the park and over the river to do some Louisville wedding pictures with the skyline. Their reception was held atop the Kentucky Science Center overlooking the Ohio River in downtown Louisville. After everyone enjoyed a nice dinner with a view of the sunset the dance party broke loose and continued on for hours. Thank you again Adam and Kim for letting me be part of your celebration! Beautiful Wedding and wonderful pictures…Many friends and relations of Kim and Adam had a great time celebrating the great day ! 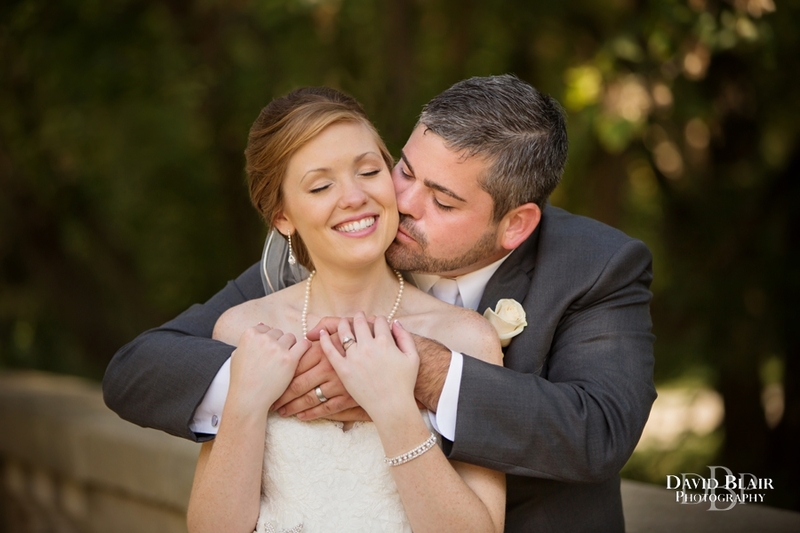 I loved working with this couple! The pictures are amazing, and would love it if you would be willing to share a few with us? Congrats again to Kim and Adam!